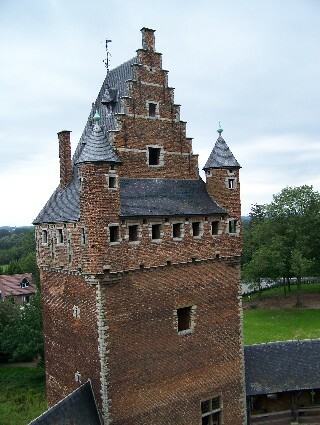 Our next day trip was to a medieval castle called Beersel. Surprisingly enough, it is located in the small town of Beersel, just to the west and a bit south of Brussels. 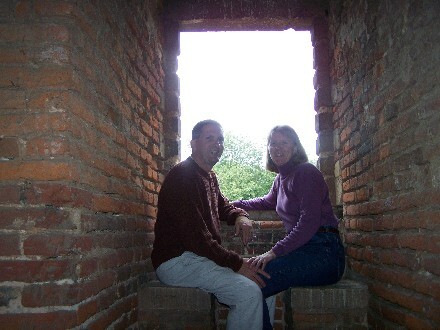 It was built during the 13th century as a stronghold to defend Brussels against attacks from Flanders. 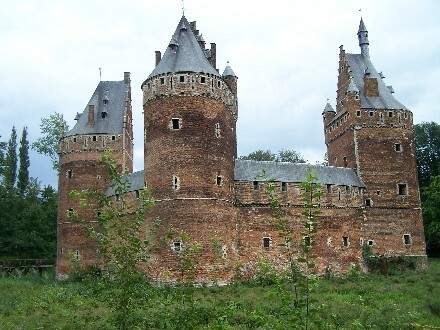 It is the last medieval, military architecture standing in Belgium now, so it's pretty cool to see! Much of the castle has had to be reconstructed since it was given over to the organization that keeps it going now. They used engravings made during the late 1690's as a guide to how it would have looked then when it was in near perfect condition (according to the literature). 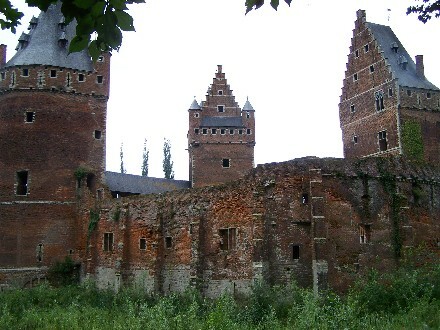 It is a moated castle, but the moat was mostly empty during our visit. 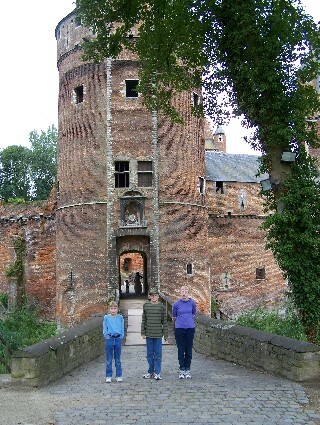 The drawbridge can be seen behind the kids and it was built so that it could be easily destroyed during an attack. When you go in, you are on your own to explore as much or as little of the castle as you want. We discovered at the end that we could purchase an English guide, so we did that after we had climbed through the whole thing. Much of the "technical" information I am adding here comes from that leaflet. 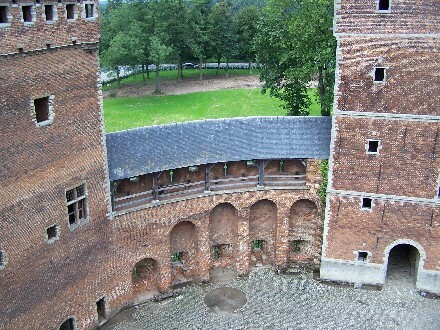 One picture shows an area of the wall of the castle that would have been used in defense. It has many small openings in it for different options. There are arrow slits just big enough to hold the bow up in, there are holes for dropping stones, and they had machicolations - small openings through which they would pour hot oil on their attackers. That sounds pleasant enough... We learned from our leaflet after we left that we missed the prison and torture chambers, complete with a rack. We will have to try to see those the next time we go. Victor Hugo was a guest at the castle (he's a renowned author from France who spent much time in Brussels - he was at many of the places we have been to already...) and wrote a poem about it. If it were very good I would type it in for you to read, but even the leaflet admits it is not among his best work! We had fun climbing to the top of each turret - notice it's a 3 turret castle with them being rounded on the outside and flat on the inside. 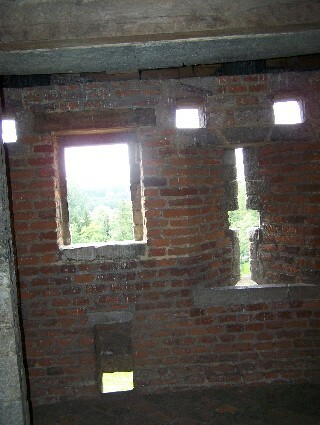 Each tower had sleeping areas, weapon storage areas, a parapet, and so on. One tower was a bit nicer than the other two - it was for the lord of the castle and the knights. Sonya thought it was interesting how the archways on the inside of the paths between the towers get increasingly taller - not sure why they do that, but it seems unusual. 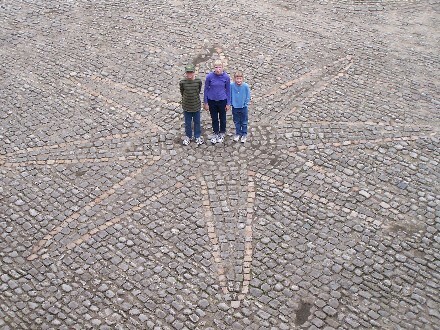 There is a star pattern on the interior courtyard made from cobblestones. 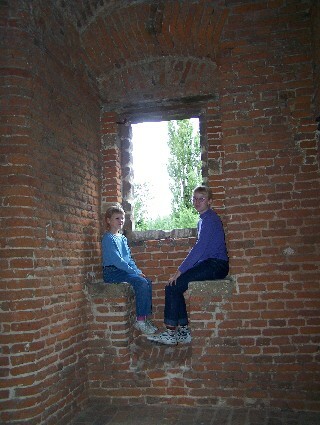 Don't know why that was made either, but it was intriguing and the kids wanted their picture in it. Notice the Lord and his Lady sitting in the window (which were only added much later, after most attacks had stopped) enjoying the view - maybe there is a jousting contest happening in the woods nearby. See the two princesses watching for the return of the knights.... Aren't they just the sweetest princesses! The castle from the exterior was just as amazing as from inside. The one side of it has not been fully restored as of yet - not sure if there is a plan to do that or not. It is imposing none the less, but especially so from the restored side. We enjoyed a nice stroll around the moat and the kids found some pretty big slugs along the path as well! This is a cool site to see and is not far away at all, so if you come to visit it would be easy to take you there to see it yourself!